Carl, Ernest and their father George. George and Irene Karacsay first established their business in 1959 and expanded into Karacsay Constructions with their sons Carl and Ernest in 1982. The business initially ran from their rural property in Carlisle but as word of mouth spread and the business expanded they eventually moved into a larger premises in Colac. 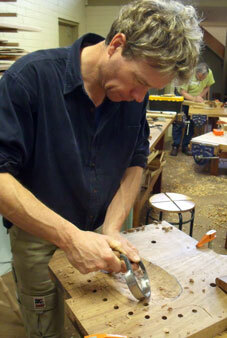 George, a master craftsman from Austria, instilled solid values in his sons. If it's not the absolute best you can do, then it's not good enough! Over the years, the values of craftsmanship, attention to detail and quality customer service has seen Karacsay Constructions flourish in Colac and district. In the past the Karacsay's skills in furniture making were a well kept secret, overshadowed by the success of the construction and joinery business. 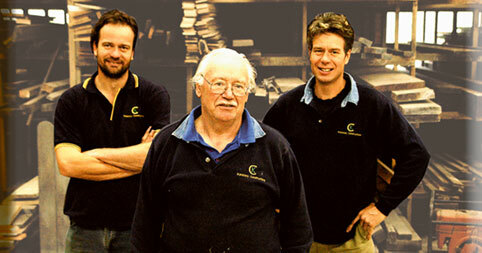 These days, Ernest has taken over the construction and joinery business which has allowed Carl to focus on furniture making. Large slabs of Blackwood ready for Carl's next projects and at work in the workshop. 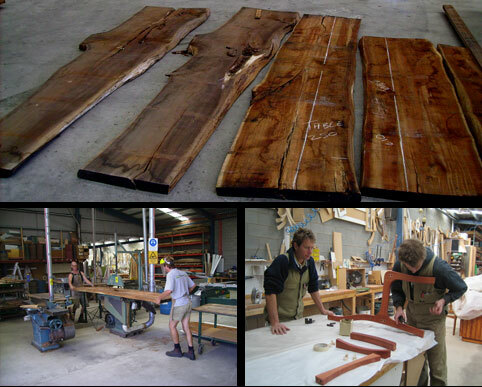 The quality of wood from this region is recognised by craftsman and furniture makers around Australia as amongst the best available of its type due to its individual characters and unpredictable colours and grains. No two pieces of Blackwood are the same. 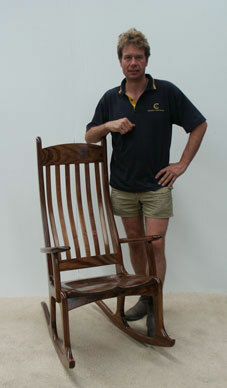 Similarly, every piece of Blackwood furniture made by Carl is unique and individual. You can rest assured that it will be a one off creation. Sign up for my newsletter to receive the latest news and event postings.